In January 2012, Somalia Report reported that al-Shabaab had sacked its Kismayo administrator, Sheikh Hassan Yacqub, but it was unclear at that time who was to take his place. New reports indicate that al-Shabaab have appointed Sheikh Abu Habeeb to replace Yacqub as Kismayo administrator. 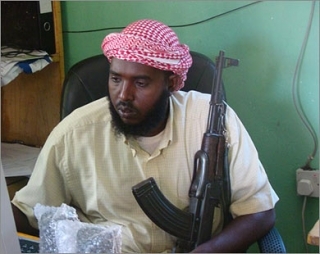 Habeeb was formally the head of al-Shabaab’s administration in Jamaame (Lower Juba). One of Habeeb’s first tasks appears to be to implement an embargo of goods moving from Kismayo to areas in Transitional Federal Government (TFG)-AMISOM control in Lower Juba, Gedo, and Bay regions. This policy is intended to decrease local support to the TFG and its allies, but the embargo could backfire easily if it negatively impacts Kismayo businesses that sell goods to those areas. If implemented, Habeeb’s first action as administrator could prove as equally unpopular as Yacqub’s forced recruitment of children, tax hikes, and prohibition of movement among Kismayo residents. More broadly, Habeeb’s appointment could spark further divisions between rival al-Shabaab leaders Sheikh Mukhtar Ali Zubeyr (Godane) and Sheikh Mukhtar Robow (Abu Mansur). When Yacqub took over as Kismayo administrator in 2010, he represented an identifiable node of power for Robow and his allies, since both men share Rahanweyn clan ties rooted in the Bay and Bakool region. Thus, Habeeb, who is not a Rahanweyn clan member, may be seen by Robow loyalists as an attempt by Godane to subvert Robow’s influence in Kismayo. Furthermore, Robow may not approve of harmful policies such as an embargo that could negatively affect Rahanweyn communities in Bay and Bakool. Al-Shabaab has remained united on the surface as they envision an imminent battle with TFG-allied forces in Marka and Kismayo. Whether the motive behind Yacqub’s sacking was related to job performance or power dynamics between al-Shabaab elite, it is bound to have a negative impact on the relationship between the group’s senior leaders at a point in which further tension could unravel unity within the group.